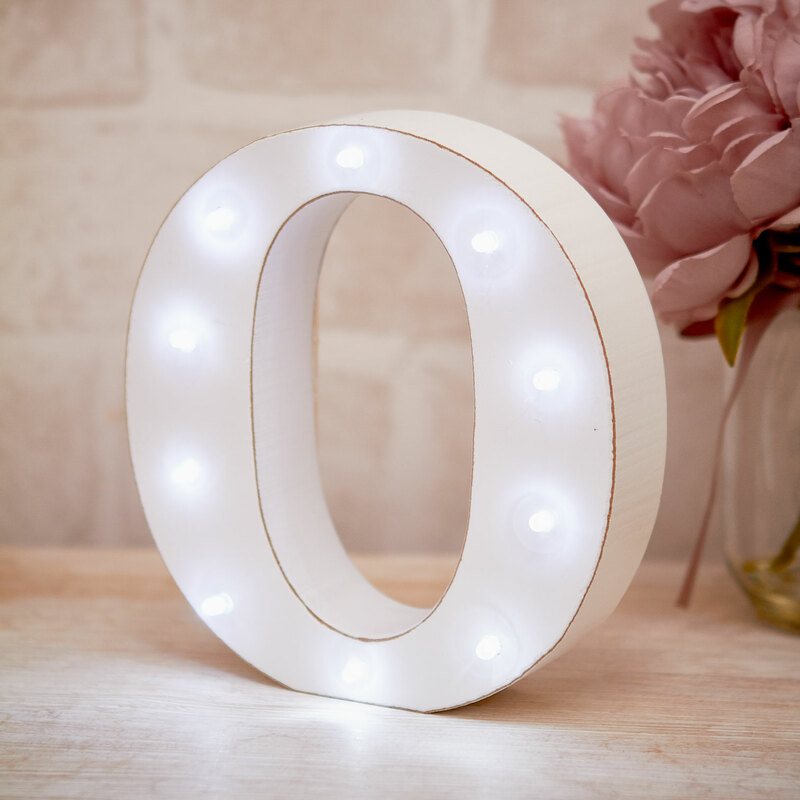 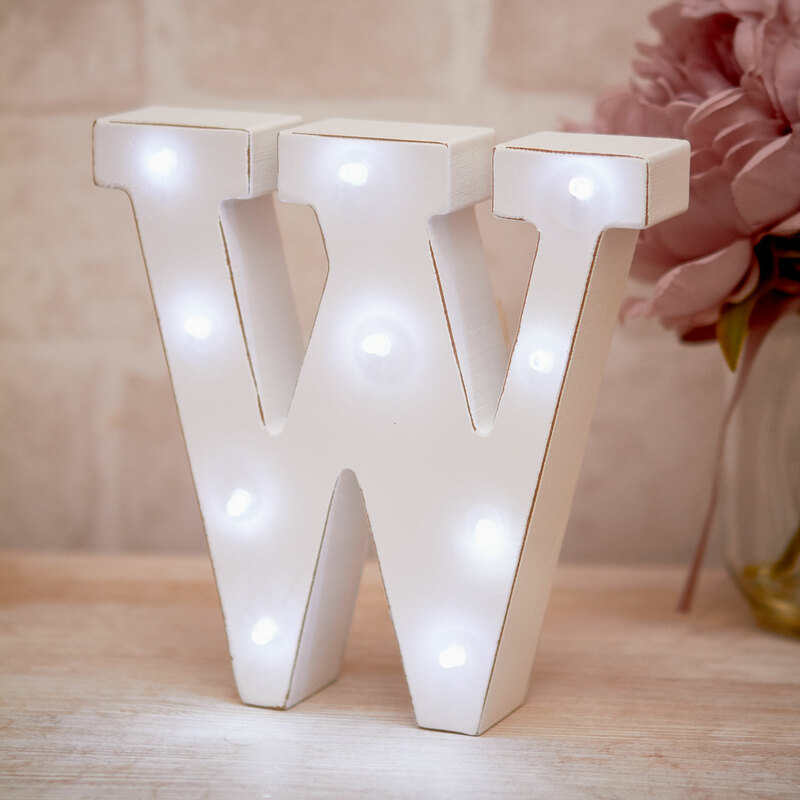 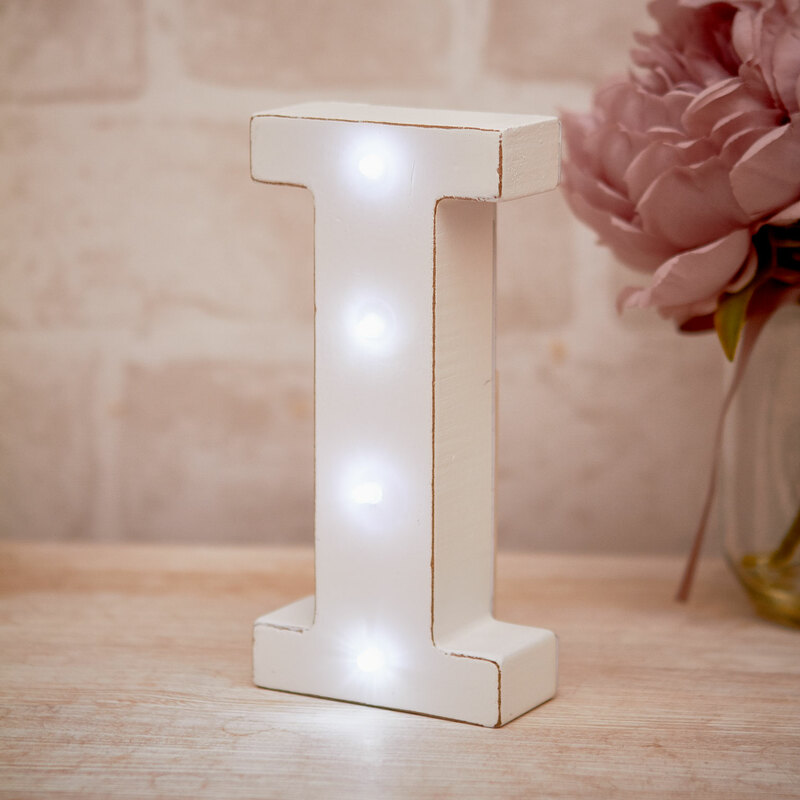 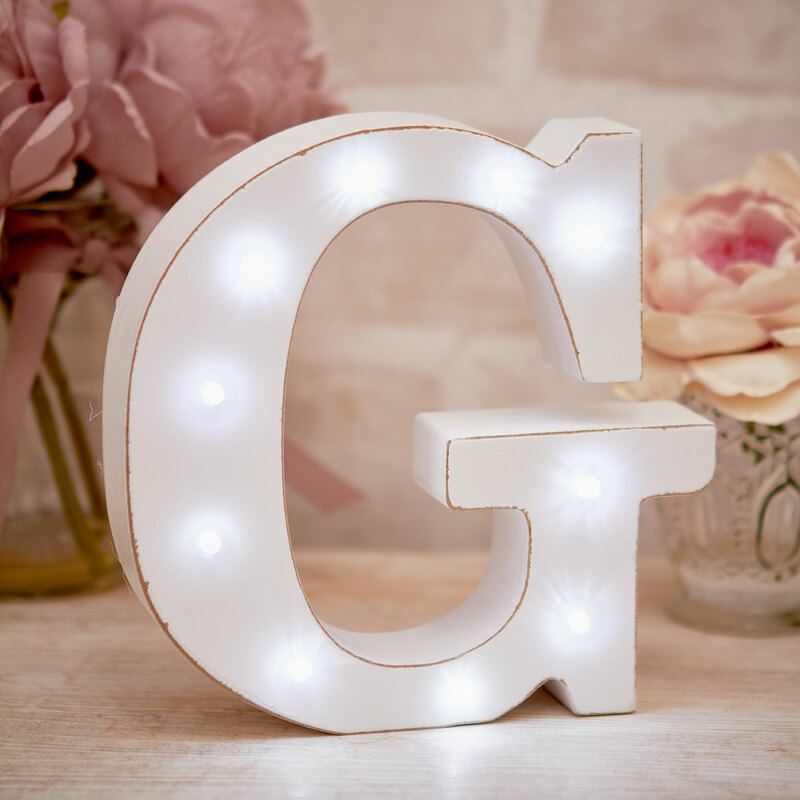 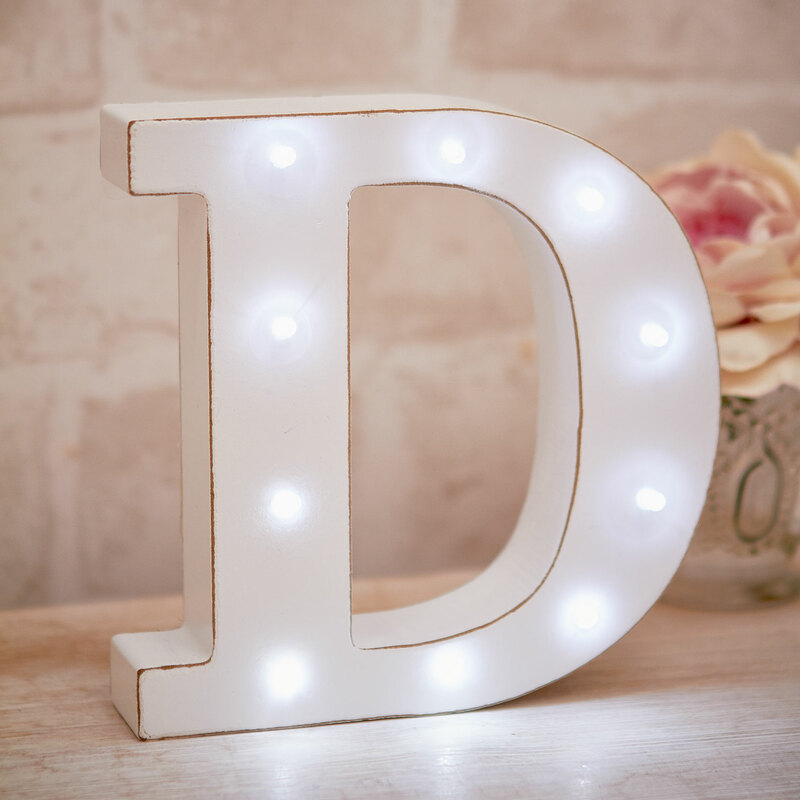 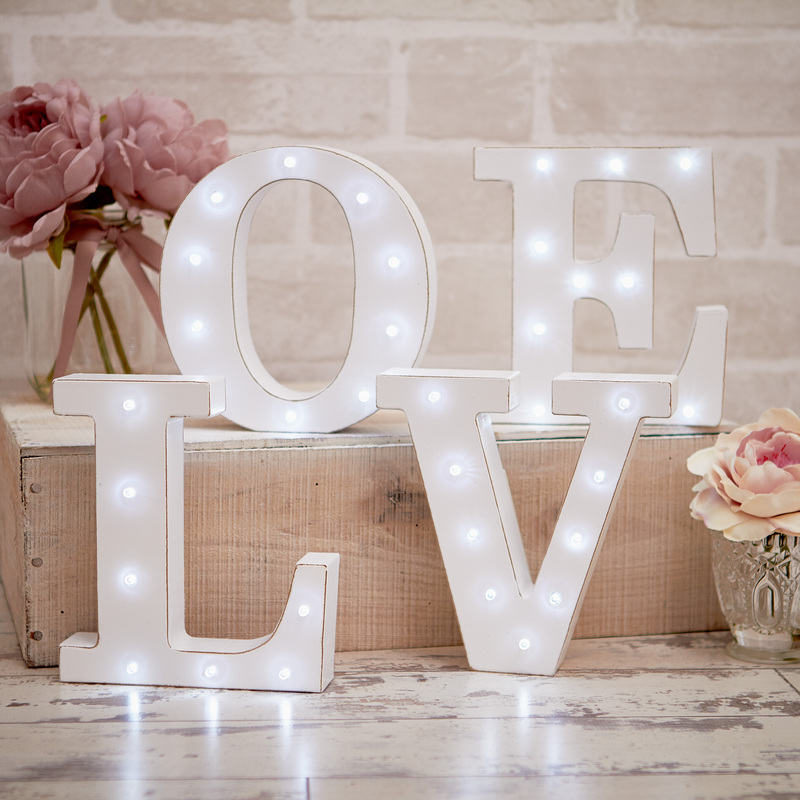 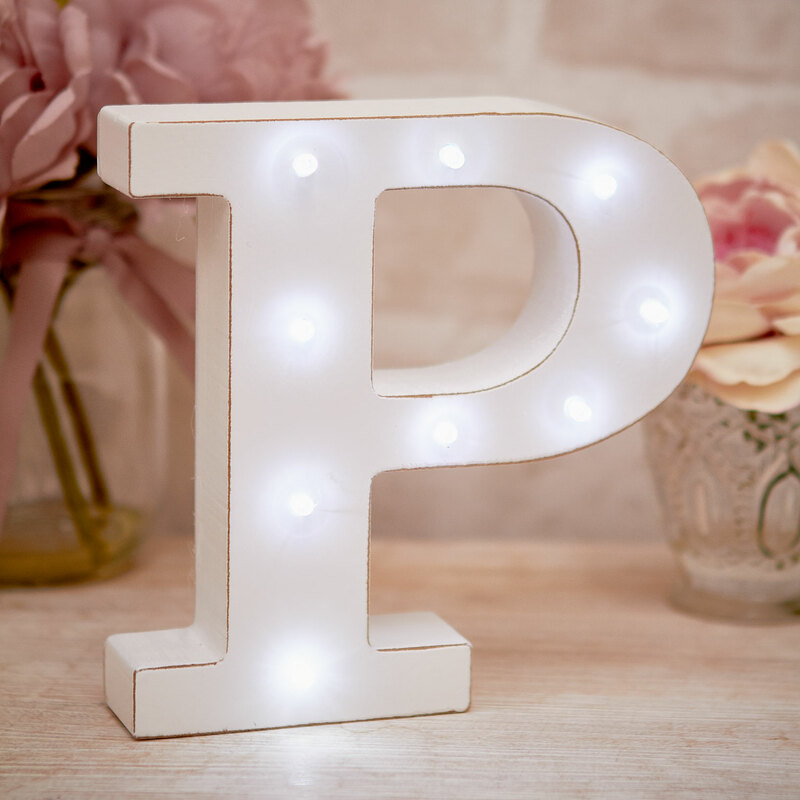 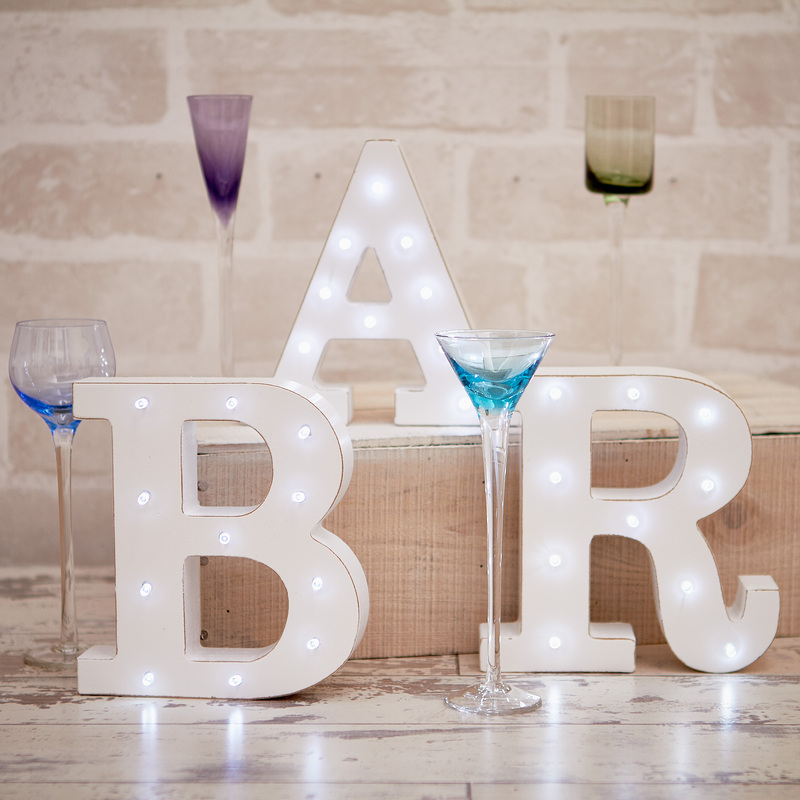 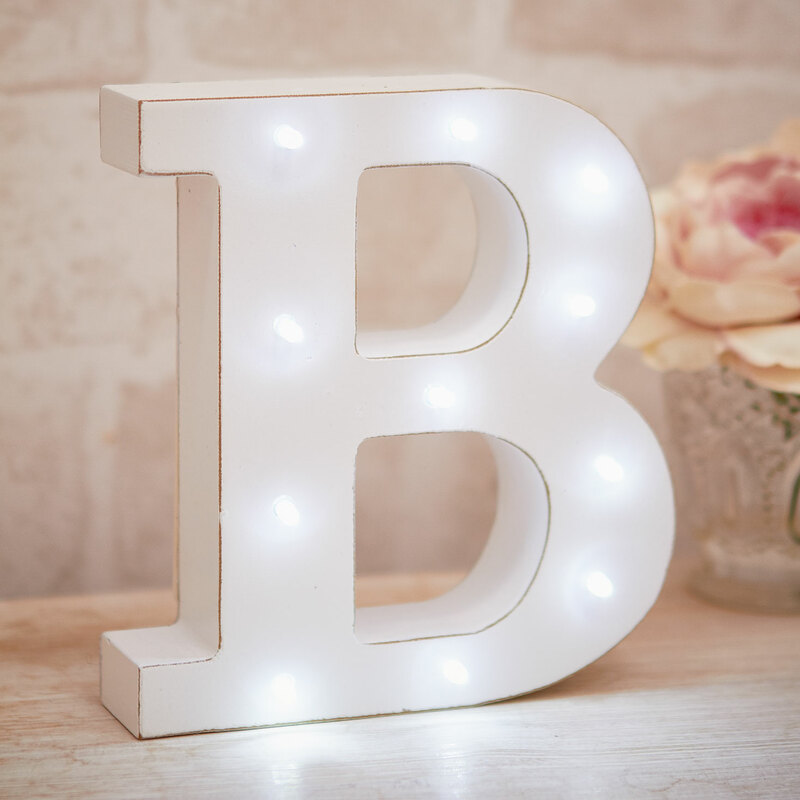 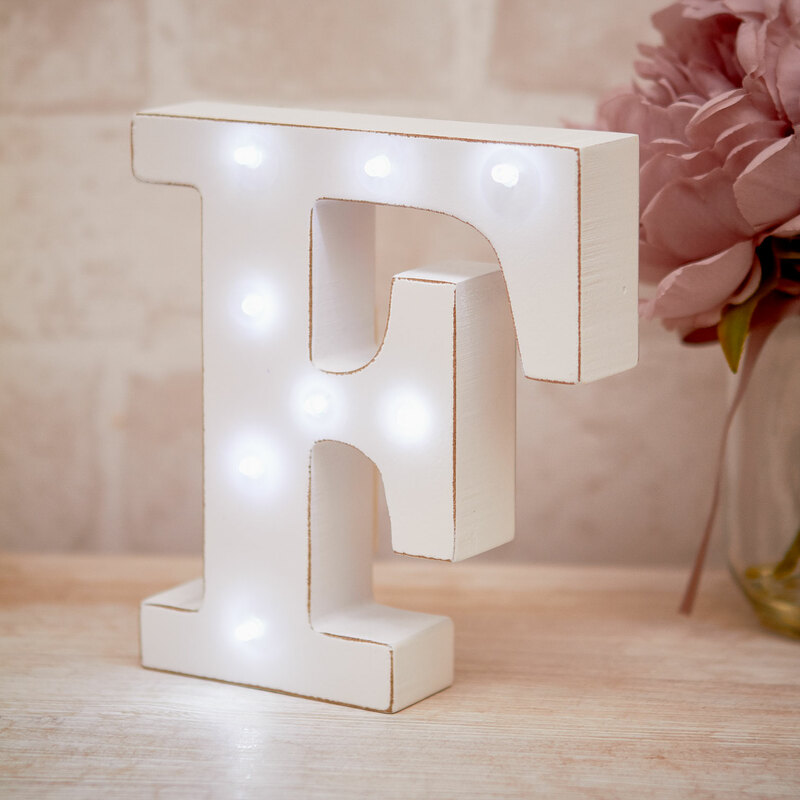 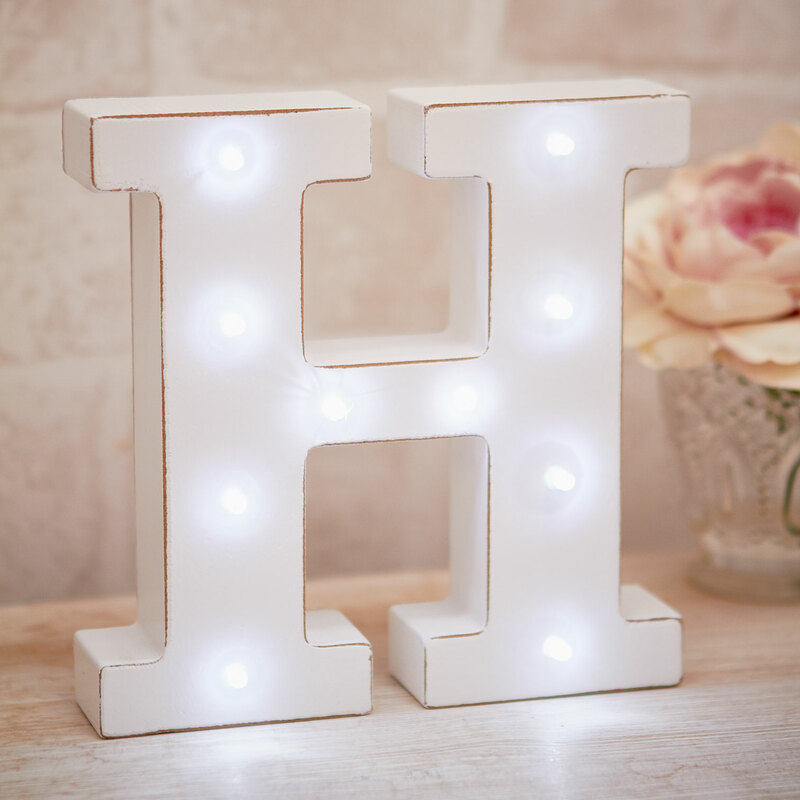 Light up your home with our amazing white distressed free standing light up letters! 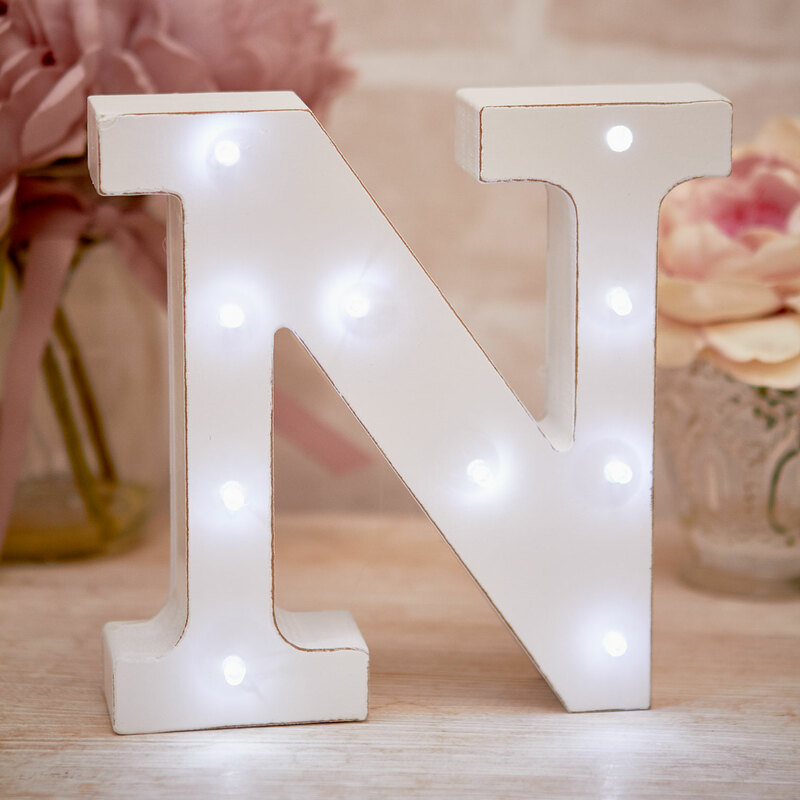 These free standing distressed white letters are a perfect addition to any home giving a bright and beautiful finish…after all who doesn’t want their name up in lights? 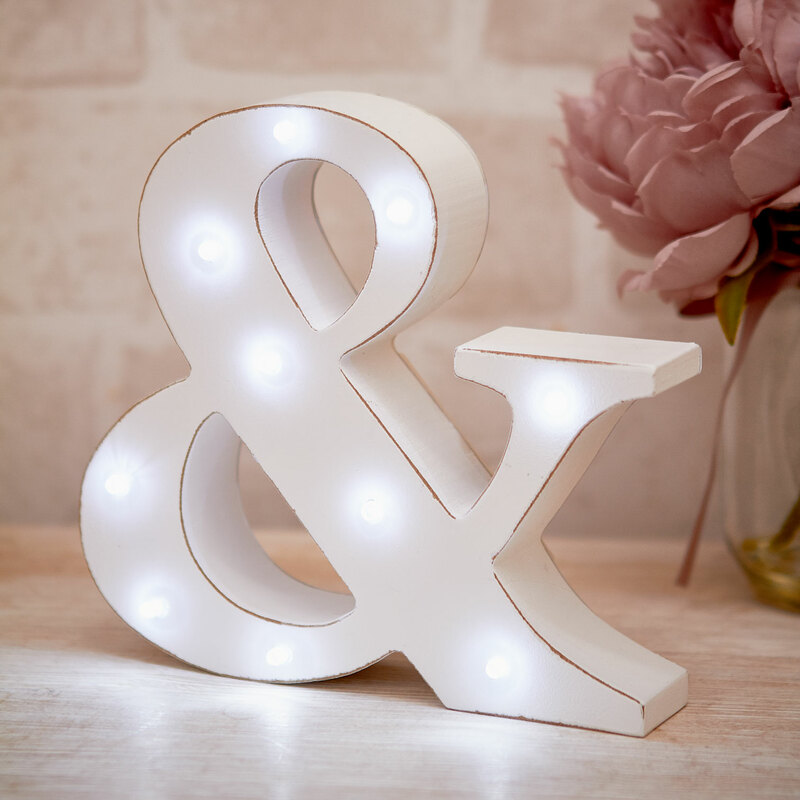 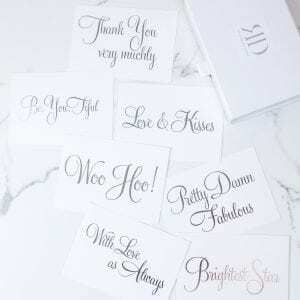 Each letter and ampersand symbol comes complete in a complimentary picture box making it all ready to give as a special gift.